Linking up with Modern Mrs. Darcy’s Quick Lit to share short reviews of books I’ve read recently. 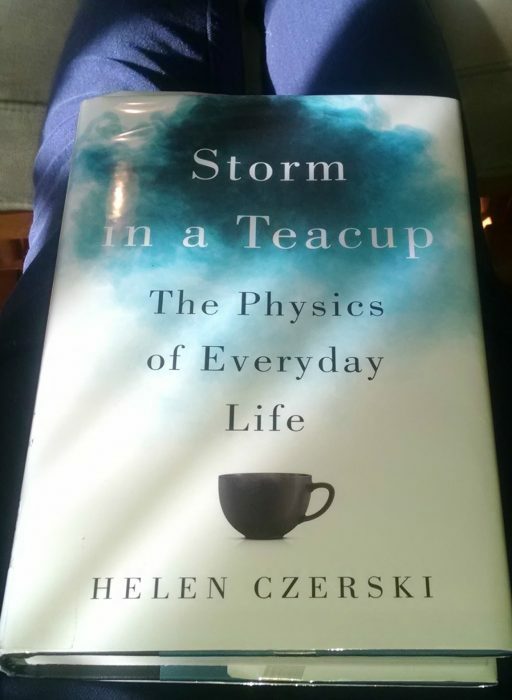 Storm in a Tea Cup: the physics of everyday life by Helen Czerski – I picked up this book because I thought its premise was interesting: how the same laws that govern what milk does when you pour it into your tea also help us understand how storms behave. How gases, whether in the form of bubbles at the top of your beer or the oxygen in a giant whale’s lungs, act the same, always. Fascinating! What’s puzzling is how I find evidence for a master designer in all this order, and the author credits evolution. Anyways, reading passages aloud from this book has been an enjoyable addition to our homeschool day. Learning about the brain and how it tries to trick us is one of my favorite topics. This book has 99 short chapters, each highlighting a cognitive bias. If you’ve ever wondered why it’s so hard to stop watching a really bad movie (because you’ve already invested an hour in it! ), or any number of other irrational things we humans do, read this book. And think better. This book tries to figure out why people of the developed world in the last 50 years are more likely to be unhappy and depressed, despite having a standard of living their grandparents could only have dreamed of. While I appreciate that the author points to a lack of spirituality as a big part of the problem, his preachy style and strong liberal agenda detracted from his message that happiness is a result of gratitude, not abundance. I forgot the lesson from the above book about the sunk cost fallacy and slogged through this one despite it. Ha! Read any good books this month? Carrie, you are such an eclectic reader — love your reading lists. All three of these sound quite interesting. How do you pick your reads? I am currently reading The Road to Jonestown. It’s a dark book that takes you on the road to Demagoguery, following the path of Jim Jones and the People’s Temple. I was almost 10 when this happened and can still remember the horrifying pictures of Congressman Ryan and several from his party lying dead on an airstrip. That and the poisoned fruit punch made a mental impact on me and hearing the interview with this author on Fresh Air last week spurred my fascination with how Jones was able to influence and convince almost 1,000 people to commit suicide. Admittedly, not the most uplifting read at all. I’ll definitely keep following you then to see “What Carrie Is Reading” ;). I hope you read Road to Jonestown — would love to hear your thoughts. Two points about Jones that I found most interesting were his relationship with his wife, Marceline, a nurse from a very good family, as well as their foundation views of equality and socialism. I never knew that starting out in Indiana, he and his wife became influential in effecting social change, albeit slowly, among the whites and blacks in their town. The People’s Temple was actually founded on high moral principles of racial integration and equality. It’s difficult to see how the church became so derailed and took a darker turn. Two other good books I just finished — The Lost Child of Philomena Lee and A Town Like Alice. You’ve probably already read them, I’m a bit behind with my reads. I finally watched the movie, Philomena, and was moved to read the book. Those Sisters at the Sean Ross Abbey in Roscrea, Ireland were just horrid as they perpetuated guilt/culpability on those poor teen girls, rather than forgiveness that Jesus promised; grrrrr. Prior to reading that, I was on a historical novel kick, with a focus on WWII (did you read The Nightingale? ), and extended right into my mother’s favorite read, A Town Like Alice. It made Australia come to life, as well as man’s inhumanity to man. 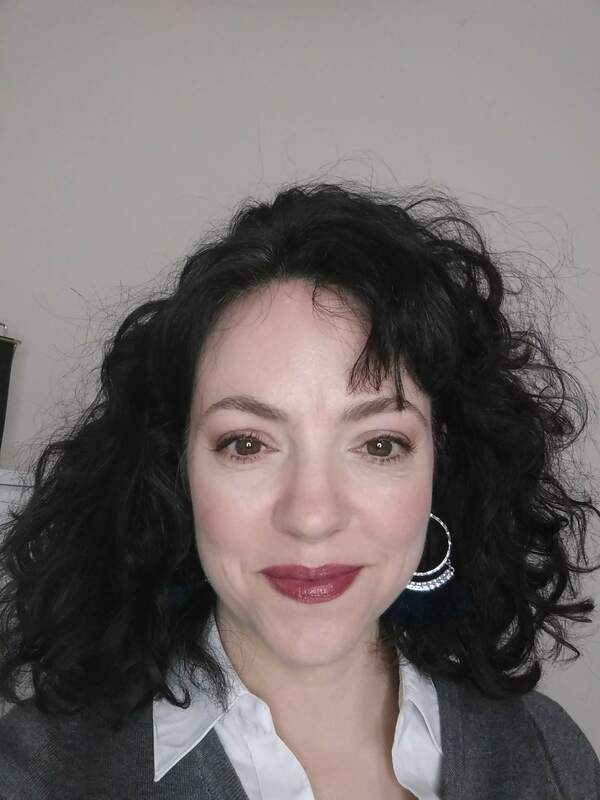 Hope you have a great day and I look forward to hearing what you are reading next!